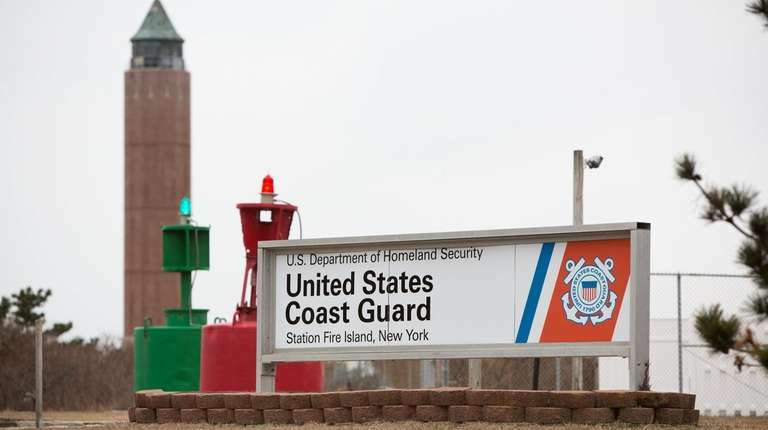 Two crew members on a barge in Fire Island Inlet were evacuated Monday evening and brought to a hospital after they were injured when a pump system was believed to have malfunctioned, according to U.S. Coast Guard officials. Watch standers at Station Fire Island got a call from the crew on the Barge Reggie at about 5 p.m., reporting “multiple injuries,” officials said. The rescue crew arrived at the scene about 5:30 p.m., officials said. The two crew members, one with a possible head injury and another with a possible broken arm, were taken to Station Fire Island, where emergency medical services personnel met them, then transferred them to Good Samaritan Hospital Medical Center in West Islip, officials said. A third crew member aboard the Barge Reggie, who had cuts from the incident, was also taken to Good Samaritan. The condition of all three men was unknown, the Coast Guard said Tuesday morning. The Coast Guard did not release the men's names or have information on what led to the injuries.